Maegan joined the firm after clerking with the firm during her law school career. 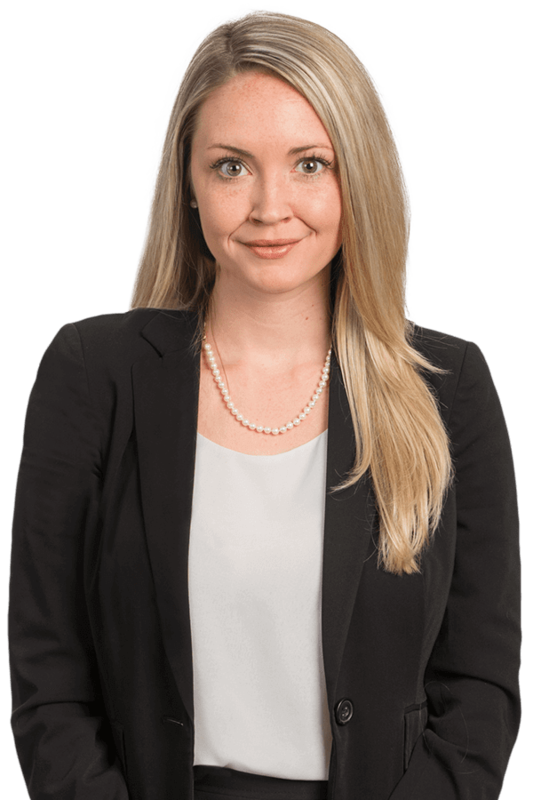 Maegan represents clients in a wide variety of cases, including but not limited to construction defect, premises liability, automobile accidents, intellectual property, and products liability. As part of her practice, Maegan focuses on maintaining a relationship with clients based on trust, communication, and excellent customer service. Born and raised in Tampa, Florida, Maegan attended the University of Florida where she received a Bachelor of Science in Business Management, with a minor in communications. She was actively involved in the Florida Business Leadership Society as both a member and an officer of the organization, participating in many different community service activities in Gainesville, Florida. Prior to attending the University of Florida, Maegan played college softball for Pasco-Hernando State College, where she was recognized as an Academic All-American. During her legal studies at Nova Southeastern University College of Law, Maegan served as an Articles Editor of the Nova Law Review. She was a board member of the Moot Court Honor Society, and also competed in the American Bar Association National Moot Court Competition in San Francisco, California, where her team competed against prestigious law schools to become one of four regional champions, advancing to the national competition in Chicago, Illinois.